Everyone seems to have already heard that effective job site communication is key at work, but why aren’t people taking it seriously? Do they know that effective communication can be the difference between a project that finishes a month early, and one that never gets done? I am here to give you the basics on effective communication to not only show that communication is key, but also when, where and why you need to implement it on your job site. When Do I Need Effective Job Site Communication? Interfering noise can be the death of communication, especially on job sites where heavy machinery is in use. From drills, to idling truck engines, every noise decreases the amount that can be heard, not to mention makes people not even want to try talking. Some people may say “just yell, they’ll eventually hear you,” but that just brings more noise and makes it harder for the rest of your team to communicate and can cause loss of voice for the workers if it is constantly being done. Continuing off of the sound of a drill, idling truck or more, when heavy equipment is in use, it can create dangerous situations to start. Piling on top of that, having someone on your team not knowing what’s going on could end badly for everyone involved. Effective communication means that you are coming prepared to deal with the noise and the dangers of equipment around you. Some solutions to the issues of noise and heavy equipment interfering with communication is to have headsets that are noise canceling and have the radio and speakers built in. This prevents noise from getting in and delivers communication directly to the ears of your team. 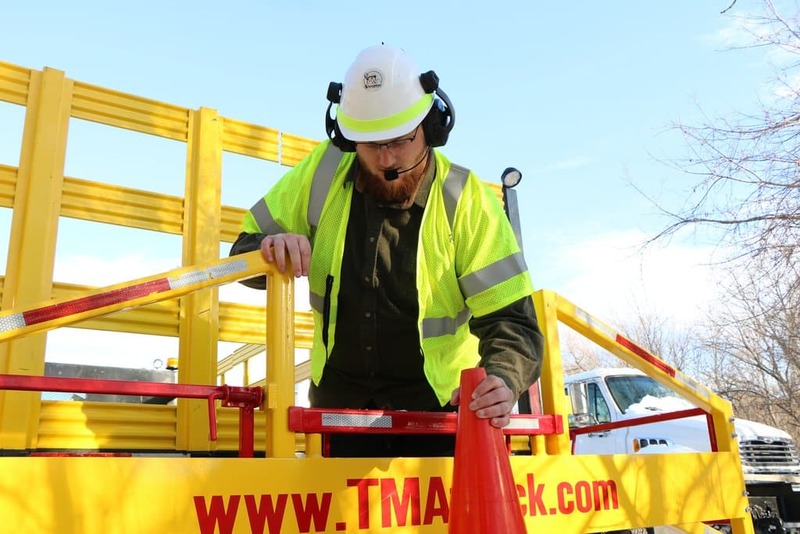 Work zones and dangerous situations seem to go hand in hand and the people that we put in these situations are brave for doing it, but there is always a way to make dangerous situations safer. In many dangerous scenarios, especially moving operations or those conducted high up, workers are required to have 3 points of contact to ensure they will not fall out or off of the equipment they are on. This poses a problem for handheld radio communication because you would have to release the third point of contact and/or stop everything you are doing to respond and listen to the necessary communication. 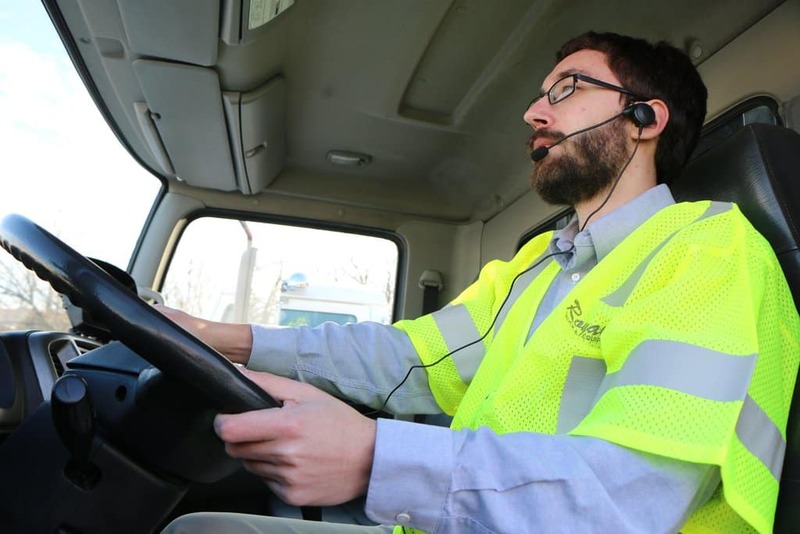 To more effectively communicate in situations where your hands are full, or you can’t free them up because of safety concerns, hands-free communication devices and headsets can make your job site communicate much more effectively. There is never a time when effective job site communication is frowned upon or could make things more dangerous, so a rule of thumb is to always try your best to make communication as efficient and easy as possible. If you are overlooking the importance of communication in your operations, you are ultimately risking the success or failure of your projects. According to the Project Management Institute’s 2013 report entitled, “The High Cost of Low Performance: The Essential Role of Communications”, “one out of five projects is unsuccessful due to ineffective communications.”As you can see, not only is effective communication a good practice, but it is also vital to whether your operations are a success or not. The report also states that projects utilizing “highly-effective communicators” are significantly more likely to meet the project’s original goals, to be on time, and under budget. This just proves that fact that when you are working, effective job site communication can make or break what it is you are working on. Where Do I Need Effective Job Site Communication? Highway work zones are some of the most dangerous places to work in the entire country. This stems from the fact that, on average in 2015, every 5.4 minutes there was a crash in a highway work zone. You may be thinking “it isn’t the worker’s fault their work zone was crashed into,” and you are right, but the difference between the aftermath of that crash being death or injury, or everyone walking away fine, is effective communication. From beginning to end, highway work zone operations rely on effective communication to make sure everyone is safe and on task. From setting up the correct safety perimeter to making sure a crew knows if there is the possibility of a crash, effective communication is key. Say a worker who is new on the job forgets the distance cones need to be placed from the job site to ensure the safety of their workers; instead of yelling across the job site where heavy equipment is in use, they decide to guess and see if they remembered correctly. This could end up in a car getting too close and crashing into the work zone or the cones going too much into an open lane and all of them being destroyed. This could all be fixed with effective and easy to use communication. Much like highway work zones, the oncoming traffic is what needs to be communicated about the most, but a different issue is faced on rural and suburban roads. Everyone has been driving down the road, seen a sign for flaggers ahead, but not seen the flagger right away. That flagger could be the only thing standing between you and another car or you and crashing into the work zone. Many of these flagging situations take place where the two flaggers completely rely on communication, because they are not able to see each other. This makes effective communication of the utmost importance, and a life or death factor. If the wrong instruction is communicated it could end in a head on collision, so another step in having effective job site communication is having a standardized procedure for important tasks that are frequently done. The communication device is also important because it needs to have the range to ensure clear communication and the battery life to last the entire duration of the job that day. When conducting Forestry operations, there are usually things like branches and logs constantly falling or rolling around, which can make everything very hectic. When up in a tree, you usually also have your hands full and cannot communicate using a handheld radio device, which greatly limits the amount of communication done between the person in the tree and the worker on the ground. To prevent these problems from ending bad, two tips for forestry operations are to always be in constant communication, both in the tree and on the ground, to ensure safety. To battle the problem of handheld devices limiting this, make sure to use hands-free communication devices and headsets. For an added bonus, use noise canceling headsets to drown out the noise of chainsaws and other equipment. Non-roadway construction zones can have just as many moving parts as those on roadways, so the effective communication rule follows true there too. The biggest ongoing change in the construction industry is the ever-developing technology that is spurring growth in the construction technology market and giving a glimpse at the future of construction. According to a survey done by KPMG in 2017, 72% of the engineering and construction executives said technology innovation was part of their company’s vision, yet only 5% of them considered themselves leaders in industry technology. Make sure to stay on top of the newly developing technology, especially in the communication field. Even though this has been mainly construction and forestry-based situations and tips, effective communication is extremely important in any situation, whether it be in a warehouse or in an office. Efficiency and communication go hand in hand, and having the tools to boost them is something any company can benefit from. Why Do I Need Effective Job Site Communication? As previously stated, effective job site communication can literally be the difference between life and death. There are many factors that go into this, but communication is one of the best ways to prevent accidents and injury. A battery lasting an extra hour, a headset that is easier to hear through and the confidence that if something goes wrong everyone will know what to do is possibly the best combination of effective communication to ensure that everyone on the job site makes it home safe that night. When 1 in 5 projects fails due to poor communication, you need to be able to recognize the importance of it. Whether it be getting something done on time or saving money by not wasting materials, communicating needs and objectives is a major determining factor of a construction, or any, project. 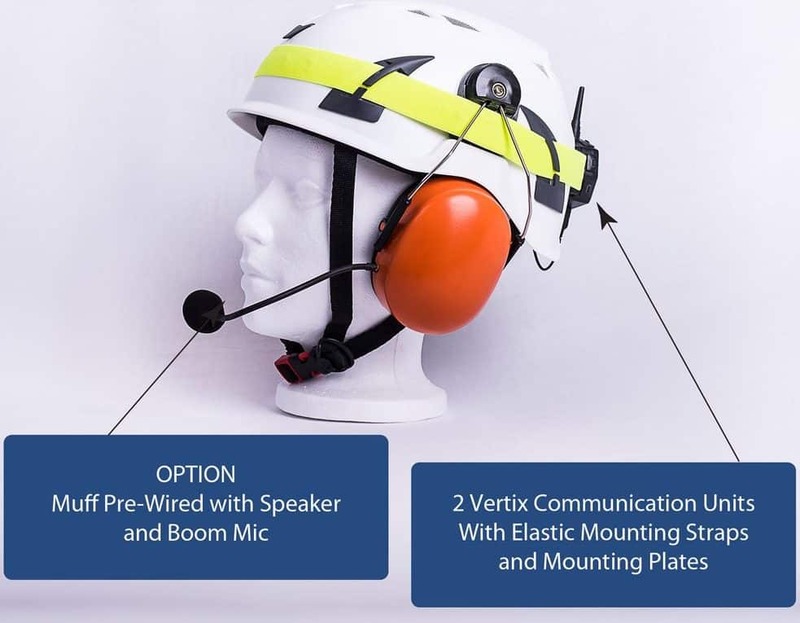 Hands-free communication is especially important when talking about the efficiency of a project and job site because it allows for the constant use of both hands and puts the worker still in constant communication with the team, without safety hazards. If your workers are just a bunch of individuals working on their task, whether it be because they don’t know how, or don’t have the tools to communicate, they will never truly be a team. When it comes to working on million-dollar projects with materials and equipment that weight tons, an individual will never be able to accomplish what a team can, and that teamwork steams from effective communication. If you would like more information on ways that your company can better communicate, whether it be in the construction industry or any other industry, feel free to contact us and we can give some more tips and tricks to effective communication! You can also check out our blog “5 Numbers You Need to Know to Improve Your Communication with Royal’s Radio Headsets” to get more information or if you are interested in hands-free, noise canceling radio headsets check out the Royal Radio Headset right here on our website or contact us directly to get a quote from a Royal Innovative Solutions Account Manager.